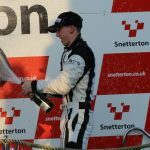 BEN TUCK CELEBRATES ANOTHER WIN IN 2016 CATERHAM FINALE! Ben Tuck concluded his debut Caterham season in style by taking another win and another 2nd place, totaling 5 podiums from the last 5 races and bring his season tally to two wins, three 2nd places, 2 fastest laps and the Caterham Supersport lap record for Croft, placing himself at number 3 on the list of only 4 different drivers to win a race this year. 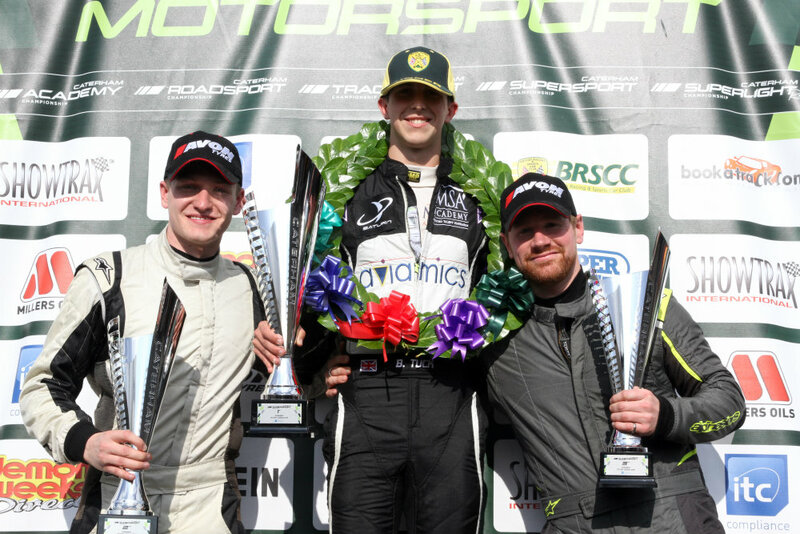 The RSF MSA Young Driver of the Year has dominated the last three race meetings of the BRSCC Caterham Supersport Championship after enduring a challenging first half of the season, but he maintained the momentum he gained at Oulton Park into the season finale at Donington last weekend boosting his position to 6th in the final Championship standings. 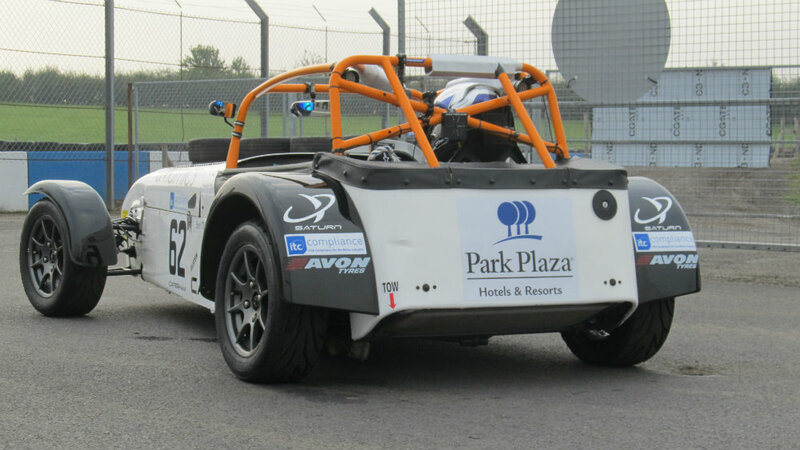 After dominating the previous rounds at Oulton Park and Croft, Ben arrived at Donington ready to finish on a high. However, qualifying was to throw one last challenge. After blistering pace in Friday practice where he was fastest in three of the four sessions, qualifying saw his car down on power, resulting in a disappointing 10th position on the grid and leaving a challenge to catch the leaders before they broke away. The team from PT Motorsports worked all out before tracing the issue to a fuel problem in time to make the fix and roll out to the grid for Race 1. Race 2 kicked off on a very wet Sunday morning, when Ben set out on his first Caterham Pole. After a busy first lap, Ben held 3rd as they slid around the greasy East Midlands circuit. As the leader broke away, Ben managed to break the tow from the chasing pack and extend the gap, never quite managing to reel in the leader. Sixteen super consistent laps later, Ben held 2nd by 2.8 seconds to take his fifth podium in five races. After the race he commented “I like the wet and the car was good so I was confident of at least a podium. It was a fun race and we had a great car but I just couldn’t close the gap the lead, but it’s a great way to finish 2016”. 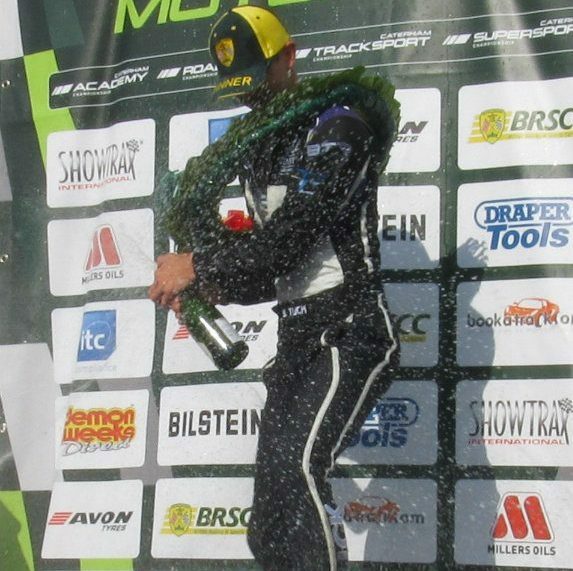 Ben’s performance was particularly well received as it was achieved in front of many of his main partners and sponsors. “Without them all we wouldn’t have been able to do this” said Ben. “It’s great to have had Park Plaza, Aviamics, Saturn, Trafalgar, Air Research, Goldstar Onboard and Power Maxed with us on this”. “The PT Motorsports team have also been fantastic, these guys work so hard and it’s also for them that I want to do well” Ben continued. The results are particularly important as Ben explores options for next year, having already tested a Ginetta G40 GT5 spec car with Optimum and raced with Peter Gwynne Motorsport in the Swift Sport Rally Cross Championship. Ben is already focused on his 2017 campaign. “Whatever we do I’ll be going all out to win!” Ben commented.